Please enjoy this coverage of a downballot statewide race, which is not something we get all that much of. Incumbent George P. Bush, the 41-year-old grandson and nephew of U.S. presidents, is facing off against his outspoken predecessor Jerry Patterson, 71, who wants his old job back after leaving it to unsuccessfully run for lieutenant governor. Despite its low profile, the land commissioner has one of the state’s most critical jobs, especially now as hundreds of communities, including Houston, continue to recover in the aftermath of Hurricane Harvey. “The (governor), the lieutenant governor and other statewide elected officials, including the land commissioner, are important positions because they touch so many lives,” said David Dewhurst, who served as the land commissioner from 1999 to 2003. The Texas land commissioner is responsible for cleaning up oil spills in the Gulf of Mexico, raising money for schools, preserving the state’s most iconic landmark, doling out benefits to veterans and helping communities recover from a natural disaster. “Our land commissioner oversees extensive programs that benefit our veterans, and our oil and gas activities, which are important to provide more funding for public education, particularly when the Legislature has not been as aggressive as it has in the past to provide funding for public schools,” Dewhurst said. Tex Morgan, who is running as a Democrat, said that if elected he’ll work to increase awareness about the land office’s duties. “Too few Texans know the scope or depth of the GLO’s responsibilities, programs and opportunities,” Morgan, 31, said. Miguel Suazo, a Democrat on the primary ballot, has repeatedly called out Bush for not demanding that the state tap its rainy day fund, which has about $10 billion available for budget emergencies. Gov. Greg Abbott has said calling a special session is unnecessary. Since recovery efforts began, Bush has said the land office is at the mercy of the Federal Emergency Management Agency, which determines eligibility for the recovery programs and distributes the funds. Bush has three primary opponents, of whom his predecessor Jerry Patterson would appear to be his biggest threat. I feel like he’ll probably win, but let’s remember, Baby Bush was the top votegetter in the state among Republicans with Democratic opponents in 2014. He toyed with the idea of running for Governor before “settling” on the Land Office while he built his resume and bided his time till the old farts got out of his way and he could ascend to the throne vie for the top spot. He was a rising star, the half-Latino face of the Republican future, and now he could actually fail to win re-nomination. The fact that he has non-token opposition at all is remarkable. On the Democratic side, Suazo was the first candidate in, while Morgan filed at the last minute. They both look all right, though at this point I don’t know enough about them to make a choice yet. This is one of those races where I’ll probably let myself be guided by endorsements more than anything else. If you have a strong feeling about either Suazo or Morgan, leave a comment and let us know. Earlier this month, Texas General Land Commissioner George P. Bush fired The Daughters of the Republic of Texas, longtime managers of the Alamo, effective July 10. In a letter to the group, Bush cited 10 contract violations and said the state would be moving in a new direction. Now, the group is suing the general land office and Bush, claiming they are wrongfully trying to claim the DRT’s library. The lawsuit, filed in Bexar County on Monday, alleges that shortly after Bush decided to terminate the DRT’s management, the land office told the organization of plans to “transition” the group’s library collection to the state. The suit says this is an “unconstitutional taking” of private property. The land office declined to comment on the suit. I don’t have a dog in this fight, and I don’t really care about the outcome of the lawsuit. I’m just looking forward to the made-for-TV movie that will eventually be filmed. My only regret is that Jan Hooks won’t be around to have a part in it. The Current has more. Perhaps it’s more accurate to say that the Daughters of the Republic of Texas have conceded in the fight over how the Alamo has been maintained. In a news release Tuesday, the Daughters acknowledged recent troubles at the shrine and vowed to use a critical report issued Nov. 20 by the Texas attorney general’s office as a “learning tool” for the 7,000-member historical group. DRT President General Karen Thompson said the 38-page report “has provided closure about past management practices and operations” at the former mission and battle site. But the release she sent to the media Tuesday didn’t challenge the report’s findings. “We are also mindful of past mistakes and will use this report as a learning tool, and all officers of the DRT will read it and benefit from it,” Thompson said. See here for the background, and here for the DRT’s press release, in which they list a number of changes they say they have made that were not listed in the OAG’s report. What really matters here is that proper care is being taken of the Alamo. Let’s hope that will be the case from now on. Nothing like a little holiday week controversy. A blistering report released Tuesday by the Texas attorney general’s office outlines a long list of problems and dysfunctions in the past management of the Alamo by the Daughters of the Republic of Texas. The report points out problems have been mostly with the organization’s leadership, and not the more than 7,000 DRT members who devote “countless volunteer hours” to preservation and education. “It should be noted that the misconduct detailed in this report is largely attributable to the DRT’s leadership — and that conduct should not detract from the individual DRT members who tirelessly and selflessly served the Alamo for over a century,” the report states. The document, posted on the attorney general’s website late Tuesday, summarizes findings from an 18-month investigation of the DRT’s Alamo operations that began in 2010. During that time, the Legislature passed a law transferring Alamo custodianship from the DRT to the Texas General Land Office. The Daughters, who had been the shrine’s custodian since 1905, remain at the Alamo, providing daily operations under a state contract set to expire in mid-2013. Because the Legislature removed the DRT as custodian, the AG’s office “agreed to refrain from pursuing legal action against the DRT in court,” the report says. The OAG report is here, and a statement from the DRT about the report is here. I have no dog in this fight, which has been going on since 2010 when now-former DRT member Sarah Reveley first accused the Daughters of mismanaging the Alamo. Texas Monthly had a story on it at the time that you’ll either need to be a subscriber or an owner of the print issue to read; other coverage found via Google is here, here, here, here, here, and here. I just hope that this report leads to a conclusion where everyone is satisfied with the way the Alamo is being managed and maintained. At least, forget about using it in a slogan. Even if it’s possible to get too drunk to remember the Alamo, the state agency that oversees the shrine says that’s nothing to brag about on a T-shirt or frilly undergarment. A word play on the slogan “Remember the Alamo” has set off a fight between a local businessman and the Texas General Land Office, which assumed custodianship of the shrine nearly a year ago. The Land Office, in its first formal action to protect a state trademark on the phrase “The Alamo,” has argued the proposal is disparaging. In a notice of opposition filed Wednesday, the Land Office argued the slogan dilutes the state’s trademark and denigrates the Alamo and men on both sides who died in the 1836 battle. 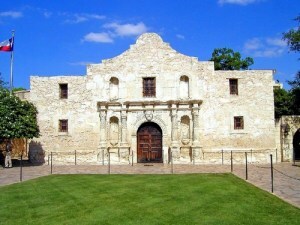 The “applicant’s mark disparages the deceased combatants of the Battle of the Alamo by communicating that their sacrifice was not worthy of memory or esteem,” the Land Office said in its opposition notice. I don’t have a strong opinion on this. If we’re going to trademark “The Alamo”, it’s appropriate to protect that trademark. Seems a bit strange to me to have a trademark on “The Alamo”, but maybe that’s just my not-native-Texan-ness not understanding these things. An attorney working for Gov. Rick Perry’s office filed a “notice of opposition” [last week] with the U.S. Patent and Trademark Office stating that Texas — not the Daughters of the Republic of Texas, which operates the historic site — should control the trademark. The two have been at odds since April, when state officials said they discovered the DRT had applied for the trademark, but they are still discussing settlement options. “We had hoped to reach an agreement by now. But we anticipate we will be able to reach one,” said Jim Ewbank, general counsel for the DRT. The trademark would allow the DRT to generate money for upkeep of the monument by selling official Alamo-brand merchandise. 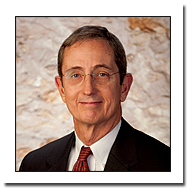 In the opposition notice, Houston-based attorney Paul Van Slyke noted that the Alamo has belonged to Texas since 1883. The Legislature gave the DRT “care and custody” of the shrine in 1905, but the state has retained ownership and should get the trademark, he wrote. Put me on the side of the state in this one. I agree that it makes sense to seek out merchandising revenue to help with upkeep of the place, but the state should own the trademark and should be responsible for appropriating the revenues. That will eliminate a major headache if some day for some reason the DRT is no longer responsible for care and custody. Last month, the city of San Antonio announced it would form a citizens advisory committee to help guide the creation of a starter streetcar system. It has now done so. The commission’s prime task will be to advise VIA’s board of trustees whether or not to move forward with a streetcar project. It will also study how the project would impact the community, [VIA Metropolitan Transit board Chairman Henry] Muñoz said. The group will look at potential funding sources and quality-of-life issues. Its work will also help finalize a streetcar feasibility study, which is due later this year and was jointed funded by VIA and the Downtown Alliance, a group of center-city property owners. Appointing the commission is the right next step in determining the feasibility of rail in San Antonio because it will couple the technical expertise of engineering consultants with the viewpoints of stakeholders, Muñoz said. “I think it is an incredibly diverse group that represents the kinds of perspectives that a community like ours needs to look at on a project of this importance,” he said. I’ll be very interested to see what they come up with. Something that runs along Broadway into downtown, which would serve Brackenridge Park, the San Antonio Zoo, and potentially both Trinity and Incarnate Word Universities, could do very well. Maybe on the downtown end it could also serve the AT&T Center and/or the Alamodome, I don’t know. Hopefully the commission will take all of that into account. San Antonio is a tourist town, and its downtown gets a lot of visitors, so a decent system could be a real boon for that industry. They’ll get support from the Mayor as well. Though details on funding sources are scant, the mayor signaled that the city needs to position itself to receive whatever federal funds might become available. Castro’s remarks on Wednesday were his strongest and most pointed yet, that rail must connect the city center to its outer areas — and spur economic development along the way. I think he’s right that there’s no better time than now for San Antonio to take this on. I wish him best of luck in getting it done.